17. Raekwon & Ghostface Killah Apologize To The Notorious B.I.G. 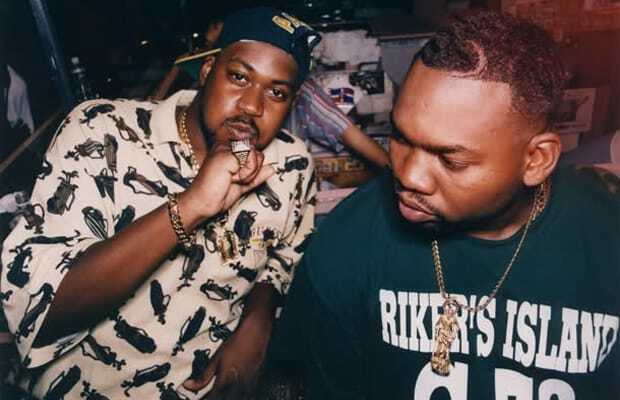 For"Shark Niggas (Biters)"
What Happened: On "Shark Niggas (Biters)," skit from Raekwon's classic debut album Only Built 4 Cuban Linx..., the Chef and Ghostface Killah took subliminal shots at The Notorious B.I.G. for biting Nas' album cover concept—both CDs featured a photo of a child. Earlier this year, Raekwon told the story of how he and Ghostface ran into Biggie in a club two years before his death and apologized for the skit. Rae claimed that Big Poppa wasn't stressing the line at all. Complex Says: Damn, if only they had apologized sooner the three of them could have gotten in the lab and made some classic material. Sigh.